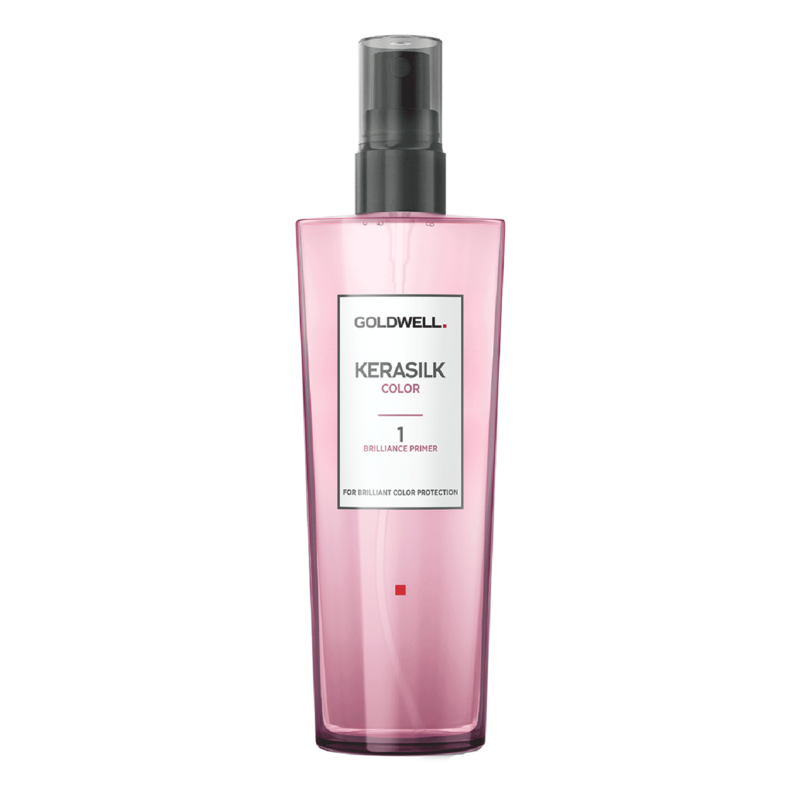 Kerasilk Brilliance Primer restores the inner structure to its optimal con- dition during the coloring process. The Low-Molecular Keratin Blend is transported with the color dyes deep into the hair fibre by using the swelling of the hair. Spray on the hair before the color service. The Kerasilk Color Primer is the base to create maximum brilliance that shines from within. The High-Molecular Keratin Blend evens out the hair surface and balances the porous outer layer of the hair for a controlled color penetration from regrowth to ends. Captures undesirable minerals.